These Thanksgiving themed postcards/notes are a fun way to let your students know why you are thankful for them. I also love to let my students send "turkeygrams" telling each other why they are thankful for them. 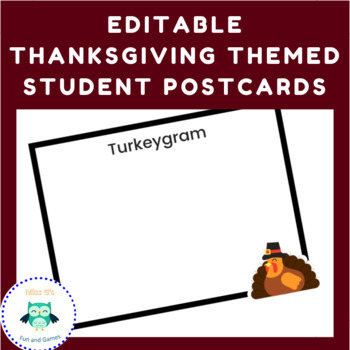 There is an editable and non-editable turkeygram included in this download.